BlizzCon: Live Updates and Initial Thoughts! BlizzCon is looming closer, with more and more leaks and announcements steadily making their way into the internet. 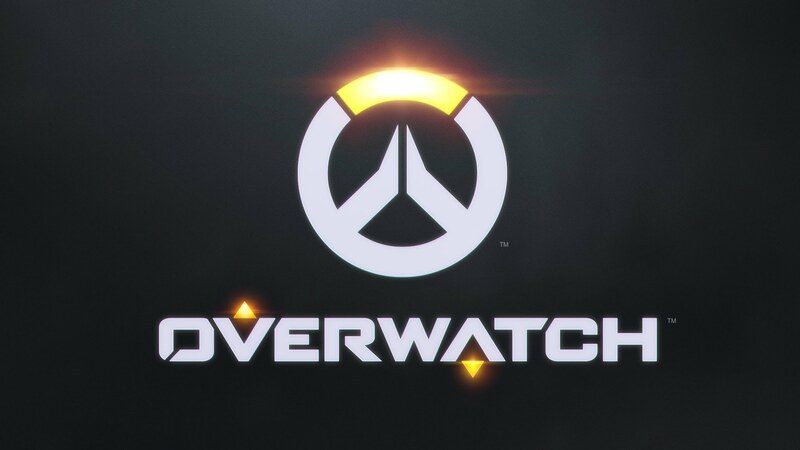 While they all look pretty cool, it’s a rare moment for me to want to avoid these potential leaks and wait these final few days to hear them from Blizzard’s own mouth, instead of somebody trolling Reddit or MMO-Champion. There have been an increasing amount of fake news and people spouting that they’re some Chinese Scrolls of Lore legitimate leaker, that I’ve been disillusioned by many of the spoilers over the past year. Nevertheless, I have access to the Virtual Ticket this year instead of going to BlizzCon itself, and I’ll be watching particular panels throughout the event and will be attempting to do live updates of those panels I watch. This will be the first time I ever do anything like this, and the events go late into the night local time for me, so it’ll likely be terrible and an excellent learning experience for next time! 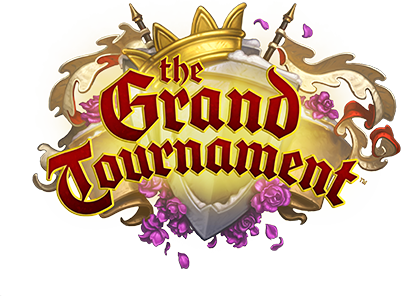 No Hearthstone or Starcraft details from me unfortunately, but that’s largely because I haven’t invested much time into those games and feel that my initial thoughts wouldn’t venture far from simple “Ooh that’s pretty cool” when in fact it ends up being something not worth talking about or disgustingly OP. Also, as you may notice because of both main stage and panel stage events being on at the same time I’ll only be able to cover half the panels – the rest will have to be watched and discussed later on. Be sure to check out my BlizzCon post from two weeks ago to remind yourselves of what to expect at these panels. Formerly known as Blizzard All-Stars, and before that Blizzard DotA, the latest game franchise for Blizzard to publish is Heroes of the Storm! It was originally going to be a Starcraft II mod, though since the original inception, it will now be a standalone game, believed to be free-to-play and released digitally. With strong competition among similar games such as League of Legends, Dota 2 and SMITE, Blizzard are entering a tough market in the MOBA (multiplayer online battle arena) genre. Now personally, my only experience of MOBAs is with Dota 2 – I’ve dabbled in League of Legends and SMITE, but neither took my fancy as much as Valve’s Dota 2. I do definitely recommend playing both of those games: League is obviously the more popular MOBA for a reason; and SMITE is a great game for those looking to get into the genre – with recent polishing it’s certainly a solid game in of itself. Blizzard is likely aiming Heroes at the kind of gamer that SMITE has attracted in those that are looking to get into the MOBA genre but have been too cautious of the community that games like Dota and League have produced. That’s not to say that Heroes won’t have these kind of players, but I’m expecting at worst Barrens chat to begin with… Having said that, I hope Blizz introduces Mankrik at some point! At the moment, we know that 22 heroes are in HotS: 10 from Warcraft, 7 from Starcraft and 5 from Diablo. It’s not surprising that Warcraft has the highest representation, and I’m sure we’ll continue to see more heroes from Warcraft than we will the other Blizzard franchises. According to rumours and certain game files, we might even see the Lost Vikings turn up, for those of you who have followed Blizzard for many, many years! Although I have to say, characters from Blackthorne and Rock n Roll Racing are likely to make people wonder who they are and why they are supposed Heroes in this game – I’d have to say I’d draw the line at Lost Vikings myself anyway. Oddly enough from the characters I’ve seen in videos and what I’ve read about them, I really enjoy the playstyle of a lot of the Starcraft Heroes. Abathur, Nova and Tassadar are all Heroes that I’m likely going to be maining on their rotation, though I’ll try to unlock Abathur as soon as possible so I can be all pro and stuff on him. Totally. For those that don’t know how he plays, he can tunnel across the map to anywhere out of the fog of war and create nests that will blow up on enemies running over them – great for split pushing in itself, but his real strength is in his first ability, Symbiote and his heroic ability, Ultimate Evolution. Symbiote allows Abathur to jump inside allied heroes, minions or towers, shielding them and gaining new abilities to use while inside someone… On a 4sec cooldown. I can totally see him jumping from hero to hero, depending on who’s getting focused, to shield them, while also keeping an eye on where Abathur was to make sure he doesn’t get focused. While inside someone else, he also has access to a line-nuke and a point blank AoE nuke. 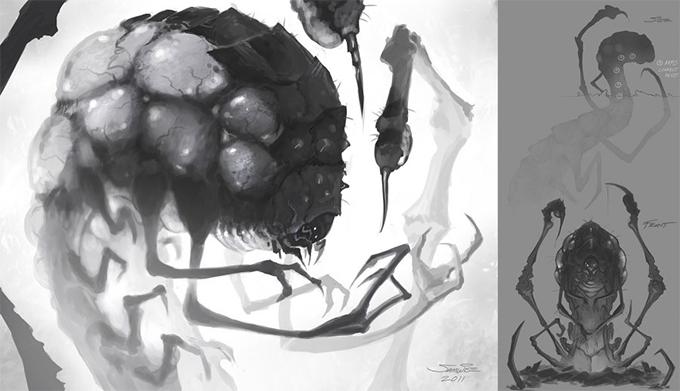 His main weakness as a result is that Abathur is very dependent on his team to be positioned well – he doesn’t have much combat presence outside of Symbiote, and he is vulnerable if his allies don’t capitalise and play more aggressively as a result of having an Abathur on their team. Communication is also key as well, random initiations won’t work out well if the rest of the team aren’t with you! Creep Tumours are his second ability, placing up to three tumours on the map, providing vision and exploding on enemy contact. Excellent for scouting out ganks for the former, and great for team fights to be able to push aggressively, as the enemy will fear stepping on these mines when every point of health can matter. Deep Tunnel, as already mentioned is a global teleport – some maps have positional requirements like Dragon Shire where Abathur could have a Tumour at the Shrine, then as soon as the Obelisk of the Moon and Obelisk of the Sun are captured, he can teleport instantly to the Dragon Altar to get his team a huge advantage. It’s also a useful escape mechanic if things do get hairy, or if he finds himself in a bad position after a team fight, he can quickly Deep Tunnel behind a tower and continue being a nuisance. He uses Deep Tunnel instead of a mount, so unfortunately I won’t be able to see my worm on a pwnie. Sad times. While Abathur only has one heroic ability to choose from, the impact it has will change on a game to game basis regardless. He creates a copy of an allied hero and takes control of it, with its attributes based on Abathur’s level/talents. Think about it, you could have two Raynors calling down Hyperions on the battlefield, or maybe you need to be a bit more defensive in the next team fight, so Evolve Uther and stack/stagger Divine Shields or spam heals on your team. 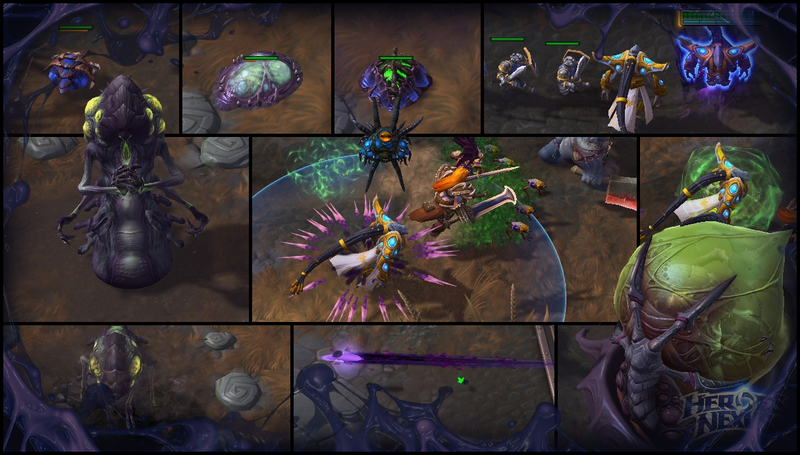 The possibilities are endless, and as a result Abathur is going to be one of the higher skill cap Heroes in the game. He’ll need a working knowledge of all his team mates, and how best to use what Ultimate Evolution when or to simply Symbiote for smaller skirmishes. His other main weakness is that he’s overall… Well, as squishy as a worm. His HP and HP Regen are the lowest of all Heroes we know about so far. His attack damage and speed are also in a similar boat. If he’s the sole survivor of a team fight and the rest of the team are pushing down on his base, he’s done something wrong, and there’s not a lot he can do in that situation other than hide in a tower or creep wave. Similarly, if he’s the first to die, he’s done something wrong and he needs to watch his positioning. Silly deaths are silly, but the overall role of the support is not to run away from his own team, unless his survival can change the match. Words can’t describe how excited I am to try out Abathur: despite me not enjoying the multiplayer aspect of Starcraft, he has to be my favourite character in the campaign, if not the entire Blizzard universe. The fact that although he’s listed as a specialist, he is very much a support – a role that I am more than comfortable with in MOBAs (though with shared gold and no item shop in HotS, I might give Warriors and Assassins a good shot here). I have no idea if I’ll do another hero spotlight before I get my teeth into HotS, as I’m sure even most of the things here will change by the time beta comes out, let alone live, but if another hero takes my fancy, I might do another… Here’s looking at you, Tassadar (and totally not checking out more than just Nova’s skills, ahem).